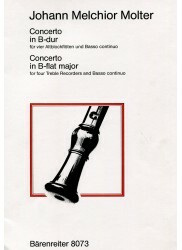 Recorder Concertos There are 157 products. 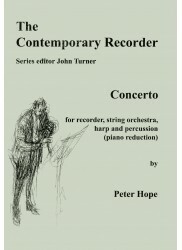 Orpheus Music has a wide variety of recorder concertos on offer with works for recorder and strings, recorder and orchestras and recorder and percussion. 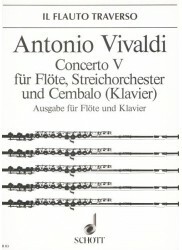 Discover the Baroque recorder concertos of Vivaldi, Telemann and Corrette. 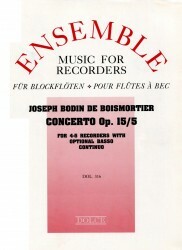 Most works offer all members of the recorders family, with pieces for sopranino, descant/soprano, treble/alto, tenor and bass recorder concertos. 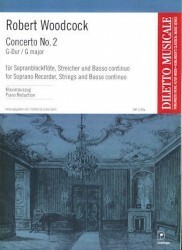 *Traditional Baroque Double Concerto* arranged for recorder orchestra with the solo parts being played on either Descant or Tenor recorders. Beautiful repertiore which has been cleverly arranged. Highly recommended. 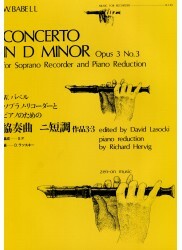 *Classical Arrangement* of one of Haydn~~~~~s well known works for recorder trio. 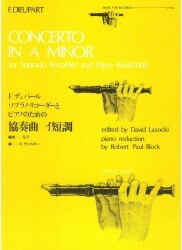 This edition is in the key of C Major. 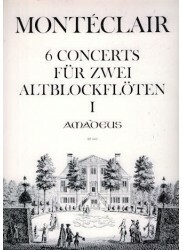 *Three Baroque Concert Suites. 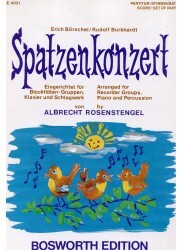 * Includes extensive notes about the composer and stylistic suggestions in both English & German. *French baroque duets* for two treble recorders. These beautiful duets are taken for Couperin's famous baroque suites "Nouveaux concerts". Notes in English, French and German. 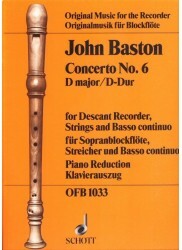 *Traditional Baroque Concerto* arranged for recorder consort. 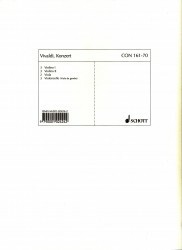 *Seven Irish Compositions. 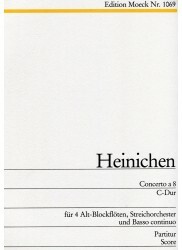 * Includes introductory notes on the composer and pieces in German. 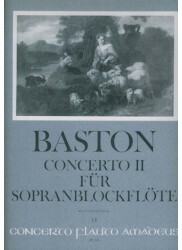 *Baroque Concerto and Sonata. 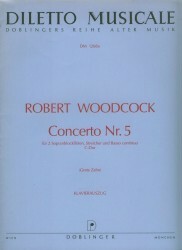 * Background information on the composer and the piece included. 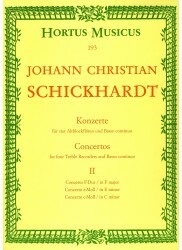 The first movement of the sonata is presented twice, firstly as a basic melody and then an ornamented version. 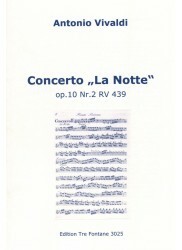 *Traditional Baroque Concerto. * Informative Editorial notes in English and German. 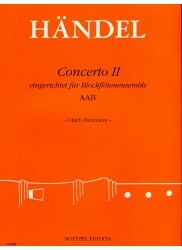 *Baroque Concerto. * Introduction in German and English. 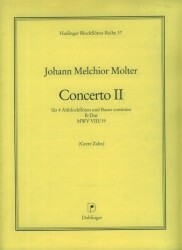 *Baroque Concerto. * Include introduction in Japanese and English. 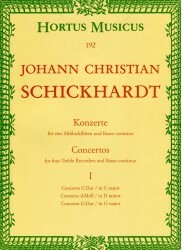 *Traditional Baroque Concerto. * Includes introductory and technical notes. 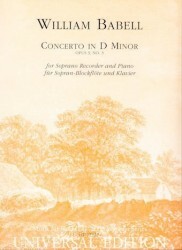 This edition is the version for Piano or Harpsichord accompaniment and does not include a bass part, however, the bass part is quite readable from the reduction. 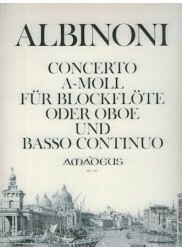 *Traditional Baroque Concerto. 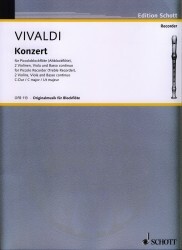 * Includes extensive introductory notes in German and English. 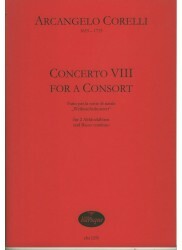 *Baroque Concerto. * Page Preface in German and English. 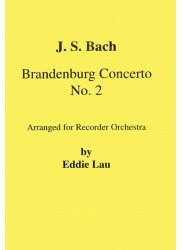 *Traditional Baroque Concerto. 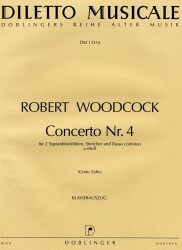 * Includes notes on the composer and the composition. 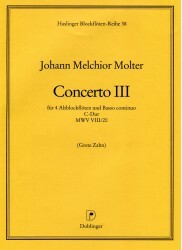 *Baroque Concerto. 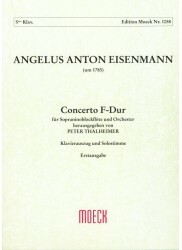 * Preface on composer written in German and English. 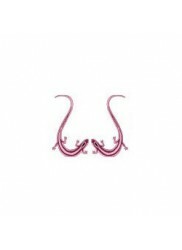 *Tradtional Baroque Concerto. 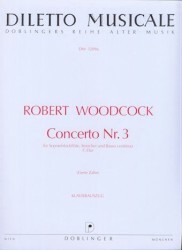 * Includes comprehensive notes on the composer and the composition in both German and English. 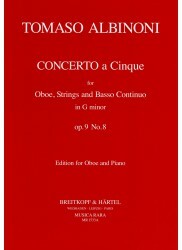 *Baroque Concerto* in C Major with three movements. 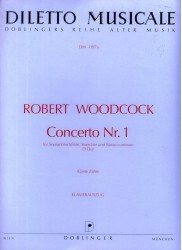 Includes introductory notes on composer and piece. 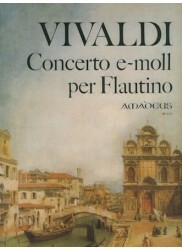 *Traditional Baroque Concerto. 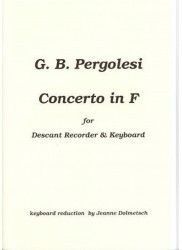 * Includes introductory notes on composer and piece. 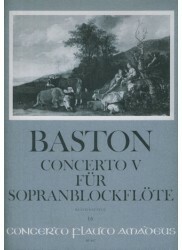 *Traditional Baroque Concerto. * Introductory notes included. 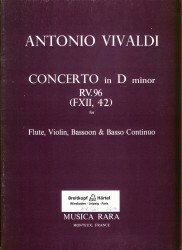 *Traditional Baroque Concerto. 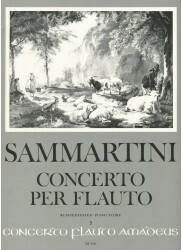 * Beautirul Urtext Edition. 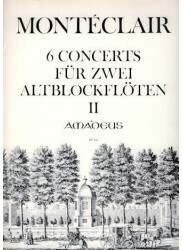 Includes an orchestral reduction for piano, solo part with foreword in German, French and English. 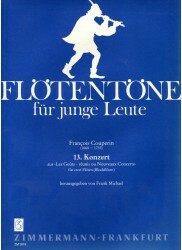 Features a double sided three page fold out part for the soloist. 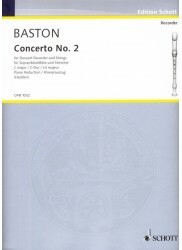 *Baroque Concerto* originally for Flute, String Orchestra and Basso Continuo. 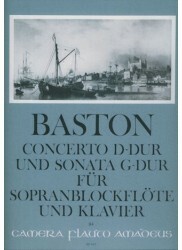 Includes a realised figured bass. 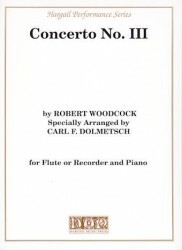 *Contemporary Concerto. 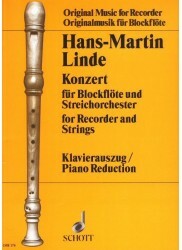 * Uses all sizes of recorder. 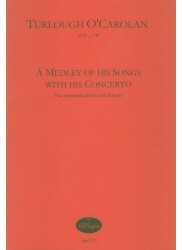 Includes composer biography. 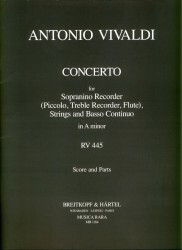 *Tradtional Baroque Concerto. 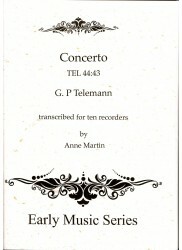 * Complete Orchestral Score and Parts. 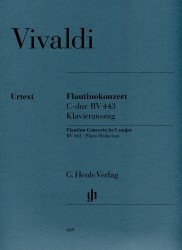 Includes comprehensive notes on the composer and the composition in both German and English. 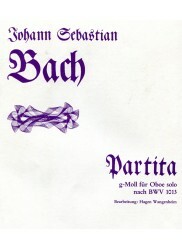 *Sublime Baroque Polyphone at its Best! 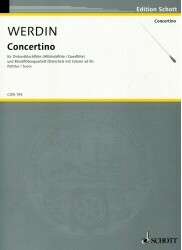 * Well loved concerto arranged for Descant Recorder and Recorder Orchestra. 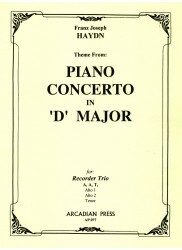 Preserved in its original key of F Major. 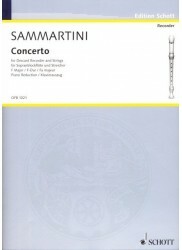 Arrangement of a *Beloved Baroque Concerto* for recorder choir. 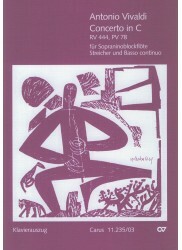 This edition includes the sonnets and comprehensive notes about the work in German only. 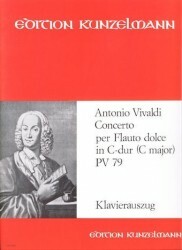 *Baroque Concerto. * Preface in German, French and English. 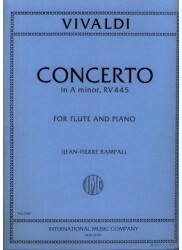 *Traditional Concerto. * Includes comprehensive preface in German, French and English.